Why start a loyalty rewards program? First, your business is nothing without the patrons. With the program, you can reward them for always buying something from your store, explains shopperloyaltyrewards.com. This also serves as bait so that they can come back with hopefully, bigger purchases. A very popular loyalty rewards program is the “miles” accumulation program done by many airline companies. Every time they fly their airline, they get miles – and if they’ve gathered enough, they can fly for free. This is a prime example of how you can encourage your customers to stay with you. 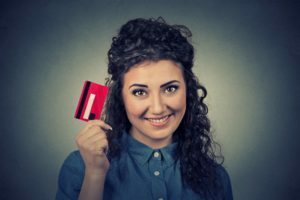 When coming up with your own loyalty rewards program, keep in mind that it’s not always about the sale. You should keep your customer’s satisfaction your top priority, so you must make sure that the program is designed to their advantage. When it comes to the customers, the mechanics should also be simple enough so they wouldn’t find it a hassle to actually avail of it. Additionally, it is important that the program mechanics are still in line with the brand. Before you take the plunge of starting your own program, you should take the time to get creative with it. At the end of the day, your business’ integrity is at stake. Take the time and effort to have marketing campaigns that are in line with the values of your company.